Tasmania is the perfect destination for a self-drive holiday that will take you close to nature. Get a feel for Australia’s Holiday Island with these stunning photos. 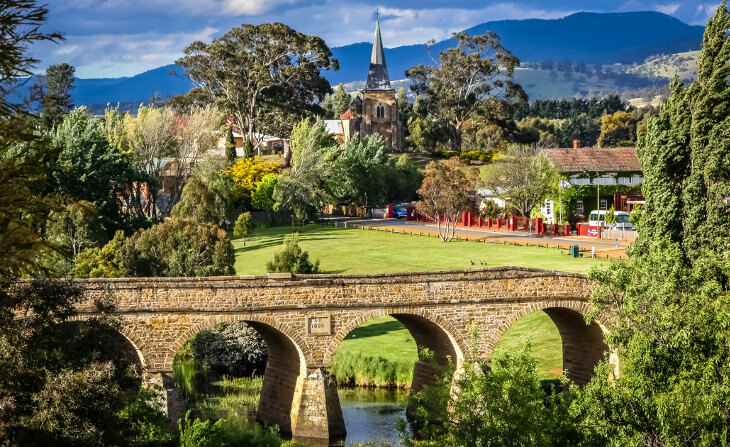 A charming small town, just 25 km away from Hobart, Richmond is a great place for a stopover to stroll around and explore historic sites. The oldest Roman Catholic church in Australia is situated here, as well the Richmond Gaol and Australia’s oldest bridge. 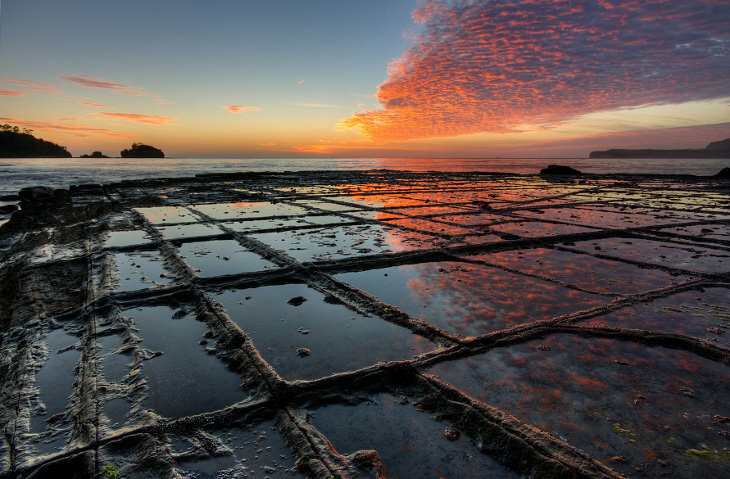 These flat seacoast rocks, broken into several regular blocks form a tessellated pavement effect. 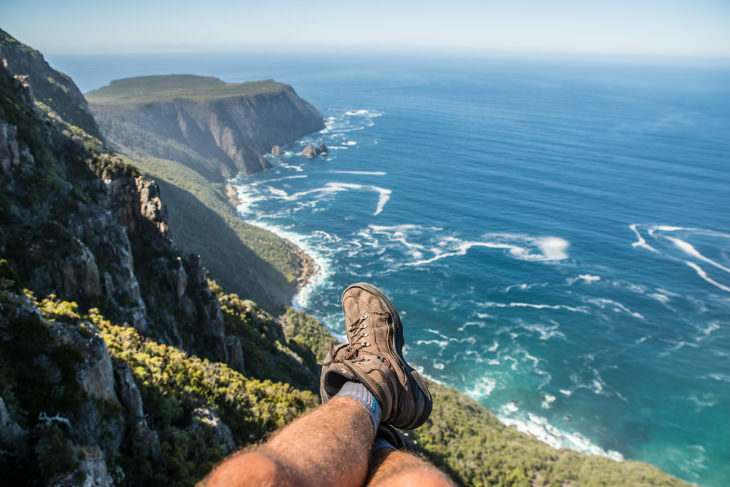 It is extremely rare and can only be seen in a few places around the globe, including Eaglehawk Neck – one of Tasmania’s most popular natural getaways. 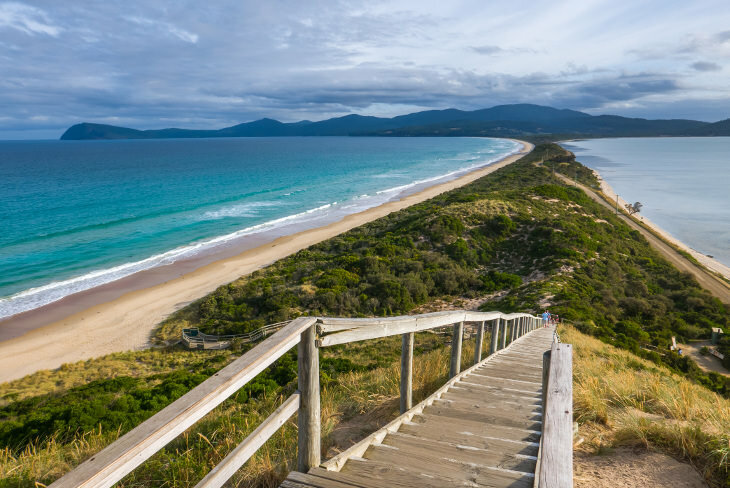 With magnificent sea cliffs, rich bird-life (including penguins), fascinating sea caves, and an opportunity to see the migration of whales (if you come during the right season), Bruny Island is a perfect one-day getaway from Hobart. And don’t forget to climb to the top of The Neck, from where you will get an incredible view of the isthmus connecting two parts of the island. Located in the Mount Field National Park, these waterfalls are easily accessible by the short and picturesque Russell Falls Nature Walk. 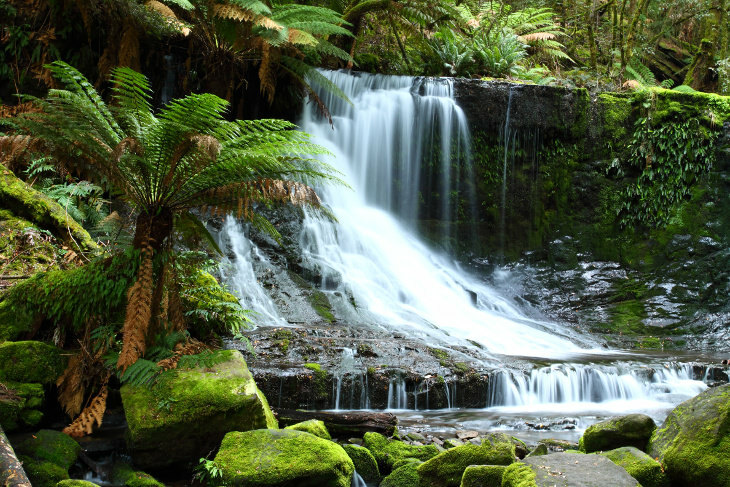 You will stroll through a fern forest, as well as see some of the tallest trees in Tasmania. At the end of your walk you’re rewarded with the view of a triple-tiered water cascade. Lake Dobson is also close by, and during the winter time, you can enjoy some skiing here too. 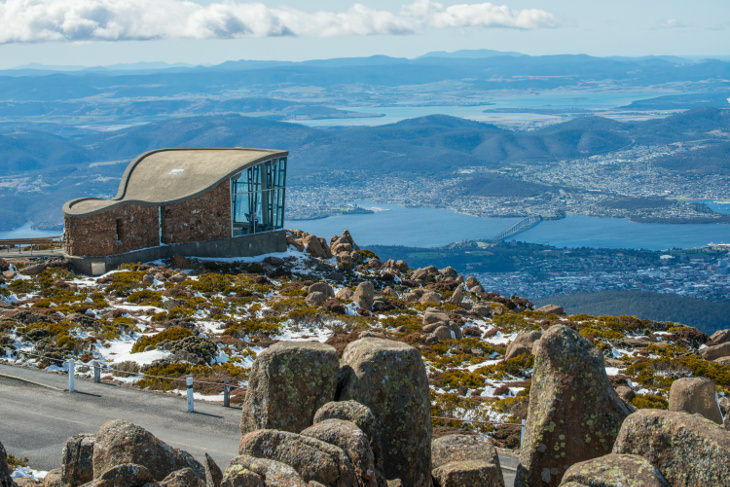 Driving up Mount Wellington to see Tasmania’s capital from a distance is a must do when visiting Hobart. It’s a treat both at night-time and during the day. Just make sure the sky is clear, so you can really enjoy the fabulous view of Hobart lying at the foothills of “the mountain”. A 6-day-long track from the Cradle Mountain to Lake St Clair National Park is truly unique and memorable. The scenery is stunning, and the track can be enjoyed with intermediate hiking skills. 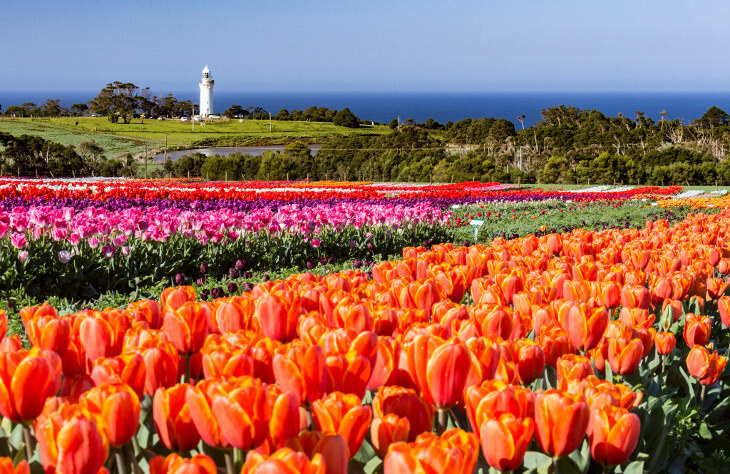 Every year in October, thousands of people come to the Bloomin’ Tulips Festival in the small town of Wynyard, situated on the northwestern coast of Tasmania. The event is held for only one day, but a field with thousands vividly colored tulips is worth the visit. The is really something you won’t soon forget. 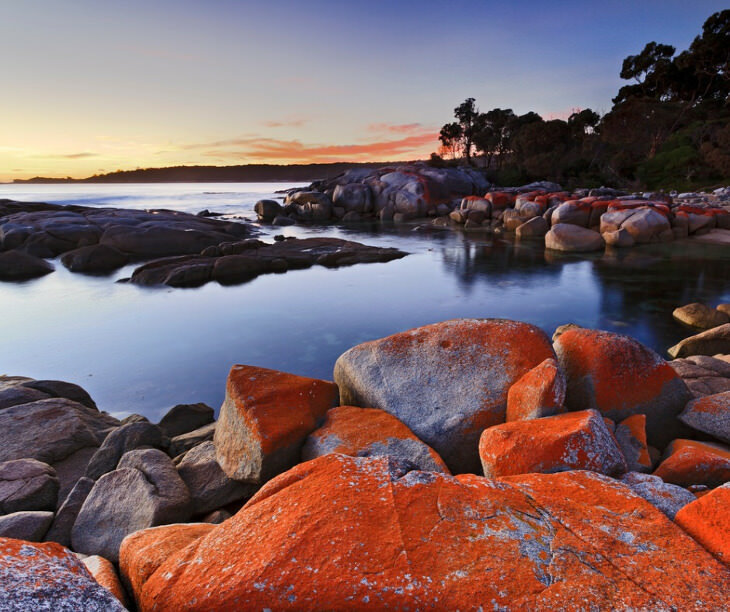 With clear blue water and white sandy beaches, the Bay of Fires is a major tourist spot in the northeast of Tasmania. It is famous for its fascinating rock formations, made of orange granite, and giving the impression of being on fire. 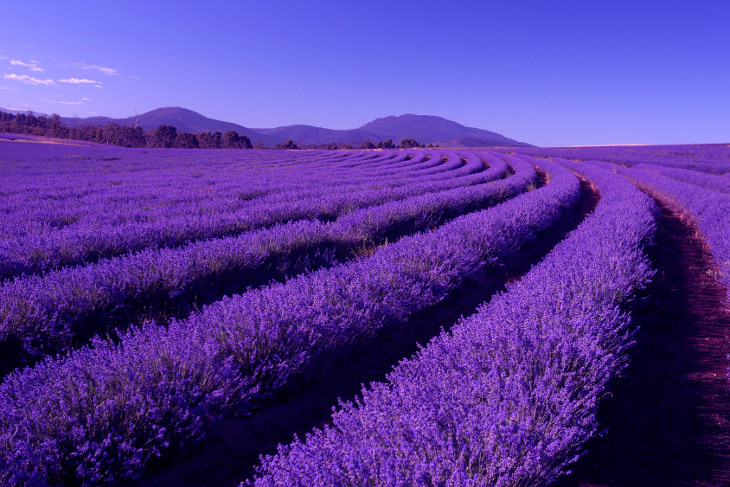 If you are coming to Tasmania in December or January, make sure you visit the magnificent blooming lavender fields at Bridestowe Estate in the north of the island. (Sometimes, the lavender season can last until early February). 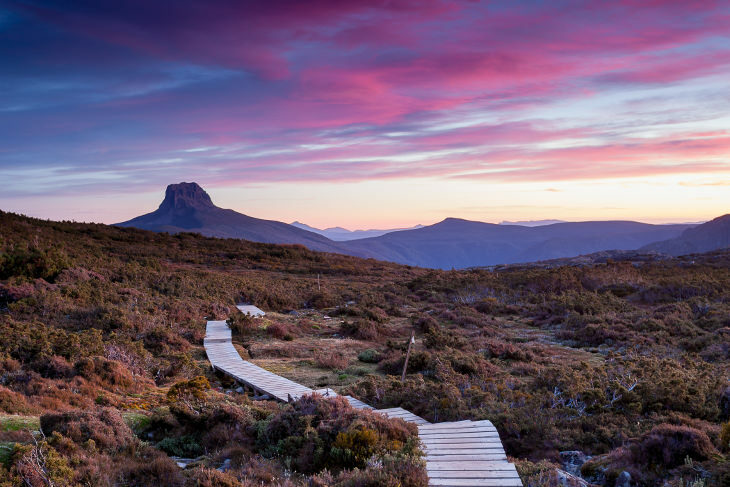 Tasmania is known for its pristine beaches, clear blue waters, fascinating mountains, and rugged coastline. Explore the sandy and rocky beaches, take a boat trip along the shore, surf, hike or go rock climbing, rafting, sailing, or fishing – the choice is incredible!